Sarina Khemchandani and Steve Wozniak. When Apple cofounder Steve Wozniak was a kid, he wanted to become a fifth-grade teacher, he told 14-year Sarina Khemchandani in an amazing interview she scored with him a couple of weeks ago. And he still likes the idea of teaching. "Being a mentor is the primary thing I want to do in the world, because mentors were so important, every step of my life, that I saw them," he told the young high school freshman. That's part of the reason why he agreed to meet with her a few weeks ago and granted an interview for her website called ReachAStudent. Lately, she's been interviewing successful people for ReachAStudent. 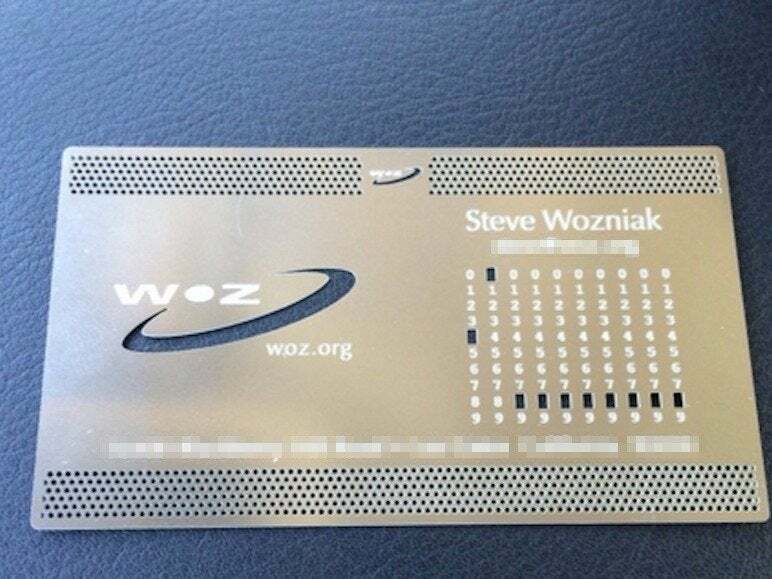 As a long-shot, she sent Woz an email asking if she could talk to him. (She's an Apple fan who read his book "iWoz.") He didn't reply but when she saw on Twitter that he was in Orlando, she got her dad to reach out again. "I was pretty shocked when he wrote that he would let me interview him. I only had a few minutes to write down a couple of questions and I had no idea what to expect. We met him at the lobby of the Hilton hotel and I took his interview right there. There were a lot of people and it was quite distracting with people taking photos and watching behind me but I think it went pretty well because his insight was amazing. I still think about some of the tips he shared," she says. 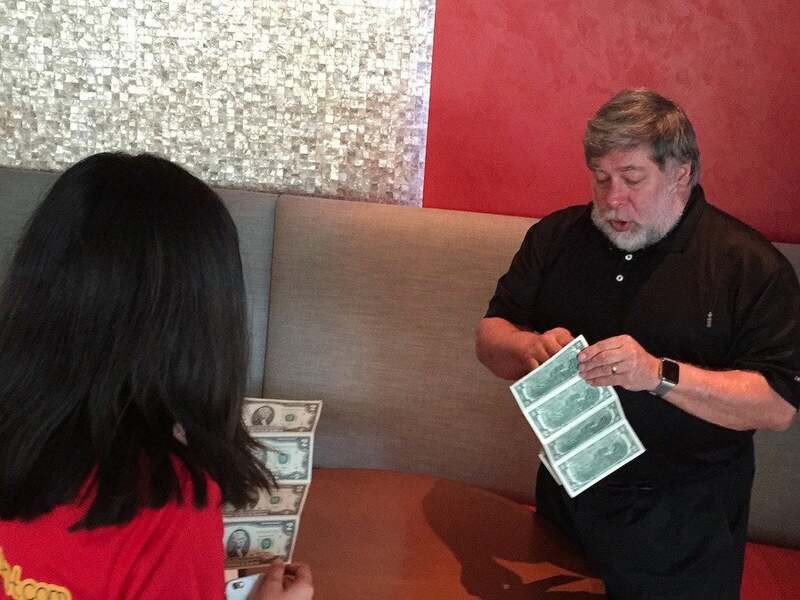 Plus, he brought gifts for Khemchandani and her brother: his famous metal business cards, his famous sheets of real $2 bills (that he prints himself), some cheap roll-up sunglasses that Woz happens to love, and he autographed both of their computers. Here's the top 9 things we gleaned from her interview. 1. He described how being "a geek" in high school made him "an outsider at school, people didn’t talk to me." But he wasn't a social failure. "I was athletic, I got my block sweaters. I was president of clubs." 2. The first computer-like machine he ever built was in 8th grade for a science fair. It ran a program that "makes you never lose at tic-tac-toe ... It had about 100 transistors and about 100 diodes. No one at school had ever seen a transistor, it was that advanced." 3. He got good at computer hardware engineering by studying math and electronics on his own and designing computers on paper in high school. He couldn't build any of his designs because he couldn't afford the computer chip. So he just enjoyed trying to come up with new designs that used fewer parts. "I had tricks on my head to save parts that probably no other human being on earth had. I knew I was good at it. I still didn’t think it was going to be a job in my life. I thought it would only be for fun, my past time," he said. "Steve came over and we talked about pranks we had done, about electronics, again I was the super designer, he had never really designed anything but he knew about it and that it was important. 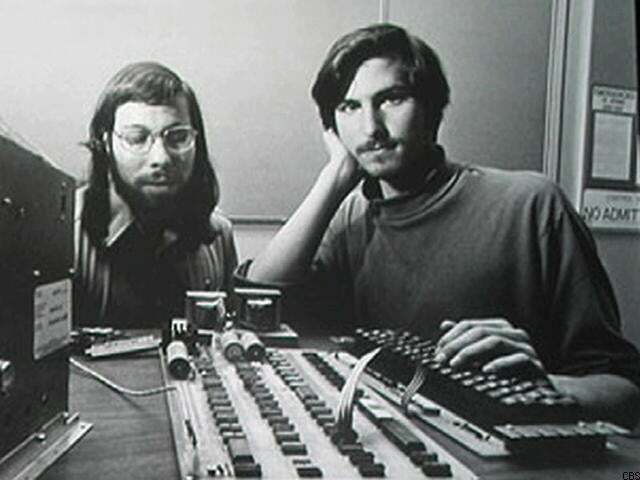 We talked about life in general where it was going and how people could live counter-culture," Woz recalled. "He was only 16 years old. I showed him the words to some songs, like Bob Dylan songs. So we became really good friends and five years later, we started Apple." 5. He offered this advice to students: do "extra" homework in the subjects that interest you. "Don’t expect to get the learning you will need in school, even in the university ... schools often teach you to keep doing the same thing as everyone else." 6. He offered advice to would-be great engineers: your work won't do "anyone any good" unless it becomes a product that sells. And for that "you need a company," he said. "So it's very important, even if you are not a business man, find someone who is." 7. He offered advice for coming up with killer products. Make the things you want to use yourself and then keep trying to make them better. This will lead to "an idea for a product that the world really needs, even if nobody thinks it does ... Everyone is making obvious things and you’ll come up with a totally different thing that does the same job better, or it costs less money." 8. He talked about how to pick the perfect college. Woz was a math genius who scored an 800 on the SAT and could have gone to MIT. But after he visited the University of Colorado in Boulder, and saw snow for the first time, he fell in love and went there for one year — all his parents could afford at out-of-state tuition rates. He attended other schools, started Apple, and eventually got his degree from UC Berkley ("I’m really proud of that," he said.) Upshot: follow your heart when picking a school. 9. He pulled so many pranks in school that he says he's got 100 favorites. But one of them still makes him laugh to this day. He figured out how to sneak an announcement into the list read over the school's PA every morning. It said that Stanford’s head janitor would be coming to the school to speak on" higher custodial education." The students got the joke and laughed and the teachers all thought it was a real announcement.